Pole dancing for fitness is an incredible full-body workout requiring endurance, flexibility, and overall strength and conditioning. What makes pole dancing workouts so different from other workouts is that it requires each of these elements as compared to weight lifting alone, doing cardio exercise alone, or even calisthenics training. Pole demands that you challenge yourself in strength, stamina, and flexibility in order to progress and push past your current level, unlike most other exercises. Why is Pole Dancing Such a Good Workout? When people start pole dancing, they enter the threshold with little to no background in exercise or rigorous strength training. From the very first class, you will find you meet a new challenge because your motor skills and muscle memory is not yet familiar with the apparatus of a vertical bar. There’s just nothing else like it! I know bodybuilders who cannot hold themselves up sideways in a “human flag” pose because they do not have the requisite strength or neuromuscular connectivity that pole requires for these skills. I know dancers and contortionists who find pole to be a whole new challenge even with their flexibility, and that’s what makes pole so great: everyone starts at the beginning! Pole dancing workouts are known specifically for the core strength that people develop as they learn how to use the apparatus. You may have great upper body strength, but without a strong core, you’ll find many pole movements extremely challenging. This is one of the components that make pole a full-body workout. Even a pole routine for beginners will involve legs, core, and upper body to execute the movement patterns correctly. 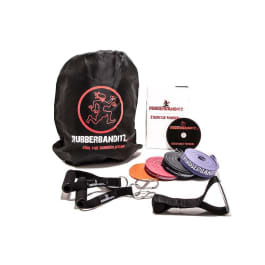 Lucky for us pole dancers, we have pole dancing fitness equipment such as dance stretch bands to help us with pole dancing workouts in studios and for workouts at home! 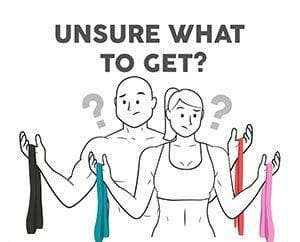 In this article, I am going to share with you 10 amazing pole dancing workouts using dance stretch bands that will assist you in skyrocketing your pole progressions further than you would otherwise be capable of. 1) The first pole dancing exercise I call “inversion legs lifts.” In a pole dancing routine for beginners all the way to advanced you will find that lifting your body upside down using your arms, legs, and core is a constant requirement to do the tricks you want. In all my pole dancing classes I require my students warm up with lifting their legs to ‘strengthen straight legs’ (without bending their knees) to condition. Using your pole dancing fitness equipment, you will wrap your band around the pole in a knot above your head and choose one leg to put inside of the band. From there, stand next to your pole, and with the arm that is closest to the pole wrap it around the back of the pole and grab the pole at a lower height, about chin-level, with that hand. With the second arm that’s further from the pole (the outside arm), you will grab the pole across your body right above the first hand. The next step will require you to engage your lat muscles in your back, and in order to activate these muscles, you will roll your shoulders down and back and push your chest up to the ceiling. Take an inhale, and with an exhale keep your legs straight, pull down with your arms (still pushing your chest out), and lift your legs straight up towards your face. You want to note that when you lift your legs you want to ‘out-turn’ them first, meaning your knee should not be lifting towards the ceiling but rather your knees should rotate out away from your body and you should be trying to open and straddle your legs and much as possible. By out-turning your knees you can activate your hamstrings and when you straddle your legs are lighter because they are closer to the pole. Once you have lifted your legs as high as they go, slowly bring them back down to the floor in the starting position and continue to lift and drop the legs down until you do 10 on each side. To do the second side simply turn around and switch which hand is high and start again. 2) The next way to do pole dancing workouts at home to condition using your pole dancing fitness equipment is called a “shoulder mount.” Keep your band tied around the pole in a knot above your head. Then choose which leg you want to put in the band and using your arms stretch the band down, open the loop, and put your leg inside. Next, you are going to turn your back to the pole and place the pole on your back in-between your shoulder blade and spine. The muscle you are using to push into the pole is your trapezius muscle. Whichever side of your body you put the pole on, say your right shoulder, you will place your right hand in what we call “cup grip” above you on the pole. To grab the pole, flatten your hand out with all fingers and then reach around the outside of the pole and grab on above your head. Cup grip means your fingers are all on the same side of the pole, i.e. don’t wrap your thumb around the pole. The second arm will reach right above that arm and also grab the pole in cup grip above your head. The trick using your dance stretch bands is to slide your shoulder and arms down the pole so you end in a backbend/bridge position, not standing straight up and down, with your hips parallel to the floor. Take an inhale and with your exhale pull your elbows together, push your back/trapezius into the pole, and kick your legs into the air until you end with your hips slightly above your head and your legs are in a “V” shape straddle above your head. Come down slow with your knees tucked into your chest and repeat on both sides, changing which shoulder you are on. When you switch shoulders remember to switch which hand is low, i.e. whichever shoulder you are on, that hand should be closer to your body. 3) Another exercise which you can use in a pole dancing routine for beginners is a trick called “butterfly.” This exercise will strengthen your upper body and grip strength allowing you to speed up your progression in pole dancing. The great thing about pole dancing fitness equipment is that without them, this trick would take a lot longer for a beginner to attain. With the assistance of the dance stretch bands, the weight of your body is minimized so you can condition tricks immediately. For this trick keep the band wrapped around the pole above your head in a knot. Choose a leg to put the band through and using your arms to stretch the band, assist getting your leg through the loop. Bring the band all the way up to your hips when your leg is inside. From here, stand next to the pole so the band-wrapped leg is closest. Whichever leg is in not in the loop of the band, that will be your high hand that grabs onto the pole. Grab in “true” or regular grip with your thumb directed up, slightly above your head. You want to lower the hand just enough so there is a bend in your elbow for this trick. With the second arm that is closest to the pole, grab the pole thumb-down towards the floor. Keeping your hands on the pole, take a step behind the pole with both feet. You are going to walk into the trick from here, pulling down with your top arm, and pushing into the pole with your bottom arm. Starting with your feet and hips behind the pole, walk forward by placing your outside leg, or non-band leg, foot on the floor next to the pole. With the second leg, you are going to then swing it up towards the ceiling and place the side of your thigh on the pole. From here, jump off of the outside leg that’s on the floor and bring both knees together and fold yourself around the pole so the pole is touching your stomach and the tops of your thighs like you are in a sideways ball. From here, slide the top arm down slightly and extend that arm while leaning your chest back and looking up at the ceiling. Next, bring the outside leg (same leg as the high arm) off the pole towards the high arms shoulder, and open both legs straight in a “V” straddle, legs folded towards your face. From here, place the ankle of the non-band leg on the pole above your hand. Feel the tug of the ankle on the pole. Next, rotate the bottom hand on the pole so your knuckles rotate towards your body, allowing your elbow to bend. Keeping your band-wrapped leg as close to the pole as possible as you bring it up, pull with the top arm, push into the bottom bent-arm, pull on the top ankle, and finally swing the band-wrapped leg up towards the second leg and grip the pole with both knees while tilting your head and torso down towards the floor. Your head should be upside down, nose towards the pole, and your knees should be clamping the pole at the same level. From here, keeping the outside non-band ankle on the pole, open the band-wrapped leg back with a bent leg to form your butterfly. Come back down the way you entered by bending the bottom arm and getting the band-leg on the pole at the thigh and come out slow. 4) The next pole dance workout is called a “handspring.” Keep the band on the pole in a knot above your head. Choose which leg to place inside of the band and using your arms assist your leg inside of the loop, and pull the band up to your hip. Step back away from the pole so you are looking at it. Fold in half at the hips and whichever leg is in the band, that is the hand you will grab onto the pole with from this position in a regular/thumb-up grip. With the second hand you are going to, with a straight/extended arm, place it low on the pole thumb-down. Pulling with the top arm and pushing away with the bottom, swing the leg that is in the band back and away, while jumping off the floor with the non-band foot. Try and pull and push equally so your chest rotates towards the ceiling and your body makes an “X” shape when you jump into the air. After conditioning this step and getting comfortable, to go into a full handspring you are going to kick more with the band leg and jump more off the ground with the second leg, push and pull, and turn with your torso, head, and hips towards the ceiling and try and hold yourself in a “ball” shape in the air, knees tucked into your chest. When you can hold this consistently, you will extend your legs in a “V” straddle above your head, balancing by keeping your legs parallel to the floor. 5) The next of the pole dancing workouts is a pole pull-up. I recommend the heavy-weight resistance band for these to start but you can use a lighter one as well. Wrap the band in a knot above your head, step into the band with one or both legs, and from there reach high above your head with both arms and grab onto the pole. Pulling your shoulders down and back, pushing your chest up and out, engage your biceps and pull down on the pole to do a pull-up. Once you pull your chin above your hands on the pole, slowly straighten your arms to bring yourself back to your lowered starting position and pull up again. Start off with 15 with one hand high, and then switch which hand is high and try for 15 again. 6) Another pole dancing workout at home you can do is called an “iron X.” This is an advanced strength trick, but using the dance stretch bands I can explain the mechanics of the trick so you can condition for it. Again, lucky for us we now have pole dancing fitness equipment to help us gain the strength for these moves a lot faster! Once you become comfortable with the handspring, the final pose with your legs straddled above you is called an “Ayesha.” From this position, you are going to continue to push and pull with your arms (think about pushing your chest out throughout this trick) and slowly lower the non-band leg towards the floor. Note: you want to keep your legs folded towards your torso as you do this. When you lower your legs and you no longer are folded at the hip this trick is a lot more difficult and heavy. The best tip for this pose is to not try to make the full sideways “X” shape when you start, i.e. don’t expect to get the trick on the first try. You want to slowly condition by dropping the non-band leg down towards the floor. Another tip is to think about keeping your chest towards the ceiling as much as possible but letting your hips turn sideways as if your foot of the non-band leg is trying to point towards the base of the pole. Start by lowering slowly and eventually you can hold the “X” shape sideways on the pole. 7) Another pole dancing workout is called a “brass monkey.” For this trick, you may need to climb the pole to wrap the band slightly higher than the previous exercises. Once you wrap the band higher, climb the pole and using one leg with a flexed foot to hold yourself up (your “brace leg”), hold onto the pole with the same arm. With the free leg and arm, grab the band and place your free non-brace leg through the loop of the band. Bring the band all the way to your hip from this position. From here, lower yourself down to the floor to begin. Take a step behind the pole, and whichever leg is wrapped in the band, fold your body around the pole towards that side. Your band-leg should be the further “outside” leg from the pole. With the inside arm closest to the pole, wrap your arm around the front of the pole and place the pole in your armpit and grab thumb-down with a bent elbow, pressing your bicep into the pole. With the outside arm place the hand thumb-down towards the floor. Focus on lifting from your hips, not elevating your legs up and back, for this trick. You are going to slightly rock back, keeping your hands in place, to elevate your head, and in one movement rock back forward as if you were going to do a somersault or a flip. Then, keeping your legs folded towards your torso, push and pull with your arms to lift your hips up. Another exercise is to get into the same position on the floor with your arms and legs to start, and from there step each foot on either side of the pole so your hips are in line with the pole. Kick and swing the inside leg up and back towards the ceiling while jumping off the outside foot on the floor, look up over the shoulder of the inside arm to see the leg, and try and hook that inside knee onto the pole. 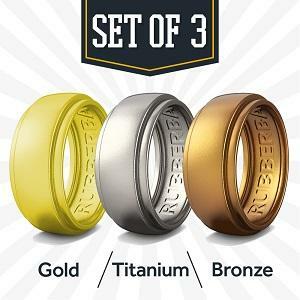 Once you have, bring the second leg up to meet it bringing the toes together and knees apart making a diamond shape. 8) This next workout is called a “table top.” For this trick, you want to place the band in a knot above your head if you are starting from standing on the floor. From here, you will use your arms to place your leg through the loop of the band and pull the band up to your hips. Turn so that you are standing next to the pole, and with your inside arm grab the pole with regular thumb-up grip chest-height. From here, step slightly in front of the pole so that you can use your outside arm to reach behind your back and grab onto the pole, thumb-up. You want to lean back onto this arm behind your back, so for weight dispersion try and get that outside arm to line up with your hips when you lay onto it. Hold on with the inside arm, lean back onto the outside arm, and with one motion jump up so that you lay back and bring your knees to your chest. A tip to begin is to place the inside of the inside legs thigh onto the pole so you can push into the pole and relieve some weight. When you are ready, try straightening the outside leg in front of you, squeezing and engaging your quadriceps and glutes, and when you have achieved that you can bring the inside leg out in front of you to meet the outside leg and hold a flat position. 9) The next pole dancing routine for beginners workout involves a pole handstand. Wrap the band approximately head-height on the pole. Choose one leg to place in the loop of the band and then once your leg is inside cross one side of the loop over the other to make an “X” shape and create a second loop to put your other leg through. Step back behind the pole and slightly to the side and fold in half, placing the furthest/outside hand on the floor with your palm completely flat. With the second arm, you are going to reach up behind you in your folded head-towards-the-floor position and grab the pole thumb-up. You can place the pole either on your trapezius muscle on your back, or push the side of your shoulder into the pole with the inside arm for additional support. Pulling down with your hand on the pole and pushing with the hand on the floor, take a step back with your feet, still folded with your head towards the floor, and from here hop with both feet and try and bring your hips above your head in line with the pole and balance. Once you have your balance you can straighten your legs towards the ceiling. Instead of hopping off both feet you may also step back with your feet and kick your inside leg up towards and ceiling and allow the outside leg to follow. 10) The final of the pole dancing workouts from home is called “hip lifts.” This is a prep for handsprings and pole dance dead-lifting, as well as conditioning your body awareness and upper-body strength. Wrap the dance stretch band around the pole above your head and place one leg in the loop using your hands to help. Pull the band all the way up towards your hips in this position. For this exercise, the leg that has the band is the hand that will be high on the pole. Take a step back from the pole so you are looking at the pole. The high hand will be in twisted-grip for this position. How to enter twisted grip is by first grabbing the hand in thumb-up grip, then let go, and put the back of the hand on the outside of the pole so your palm is facing out. From here, fold at the hip so your torso goes to the opposite side of the pole as your hand, and rotate the wrist one more time towards your back so you can grab onto the pole. Take another step back and place the bottom arm thumb-down on the pole extended. From here, walk towards the pole and place your feet so they are on either side of the pole. Bend your knees like you are in a pole sit, and bend the bottom arm. In one motion, pulling down with the top arm, push and straighten the bottom arm and keeping your feet on or close to the pole, lift your hips up into the air behind you and drag your legs up the pole. Repeat 10 times on each side, switching which leg is in the pole and then which arm is high. Those are just some exercises using pole dance fitness equipment that will help accelerate your strengthening and progression in pole. Make sure to stretch before and after working out for safety. Drink a lot of water, eat a lot of protein, and continue to challenge yourself as these exercises become easy for you! 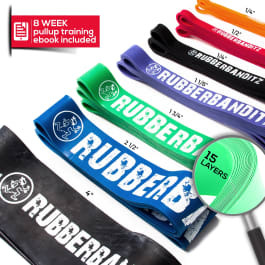 Check out Rubberbanditz eBook selection to learn more exercises and stretches you can do on the pole with strengthening and dance stretch bands! exercises and stretches you can do on the pole with strengthening and dance stretch bands!.